Officers were dispatched on Sunday at 7:07 a.m. to a hit-and-run accident in the 100 block of of Strode Avenue, Sgt. Steven Smith reported. 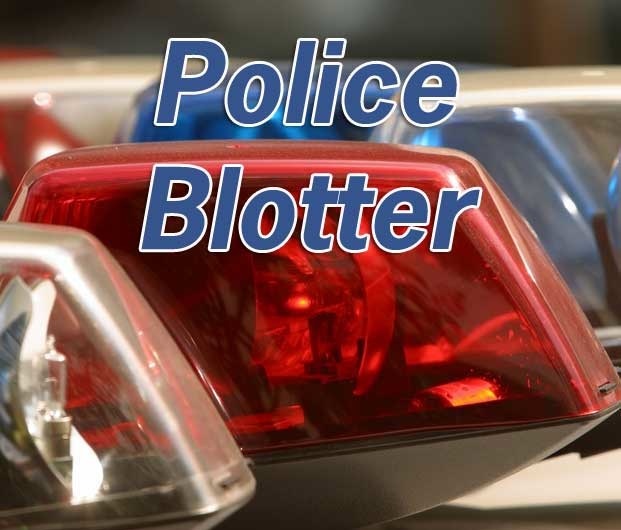 A vehicle struck an unoccupied, legally parked vehicle and left the scene sometime during the night or early morning hours, Coatesville police said. Police said the striking vehicle was subsequently located, illegally parked and unoccupied, approximately a haif-block southeast of the accident scene. Police said they have identified the vehicle’s owner and are continuing the investigation to determine who was driving it at the time of the crash. Police cited Kenneth Coles, 35, of Coatesville, for trespassing on Sunday at 12:35 p.m., said Cpl. Guy Bruchstein. Police said Coles has been ordered not to walk on his neighbors’ front yard but continues to do so. Police are investigating a reported assault that occurred on Saturday at 8:18 p.m. in the unit block of South Fourth Avenue, Officer Jonathan Shave reported. The victim said that a group of 10 to 12 juveniles began following and taunting him and that one struck him from behind with an unknown object before fleeing southbound on South Fourth Avenue, police said. Another assault under investigation occurred on Saturday at 5:05 p.m. in the rear of the 600 block of Olive Street, Officer Paul Antonucci reported. The victim, who was transported to Brandywine Hospital, said an unknown while male with blonde hair who left the scene in a black Honda may have been his attacker, police said. Andre McDaniels, 22, of Coatesville, was charged with filing a false report on March 30 at 8:40 a.m., police said. Officer Paul Antonucci reported that McDaniels admitted on Friday that he fabricated a statement about being assaulted by his girlfriend because he wanted to get her in trouble, police said. Officer Paul Antonucci responded to the unit block of South Sixth Avenue on Saturday at 1:16 p.m., police said. A resident reported that her back door had been kicked in sometime between April 20 and Saturday afternoon, but nothing was taken, police said. Richard E. Smith of Coatesville was cited for theft of services on Saturday, Officer Chris McCarthy reported. Police said a property owner reported that unauthorized people were depositing trash in a Dumpster he owns and that some of the material included mail addressed to Smith, police said. A 13-year-old male was charged with harassment after police responded to the unit block of South Sixth Avenue on Friday at 3:18 p.m., Officer Carmen Mollichella reported. Police said the juvenile shot a BB gun at the victim, who was not injured. Jason Cox, 35, of Chester, was cited for public drunkenness on Friday at 4:57 p.m. after police found him asleep and intoxicated on the side of the 300 block of East Lincoln Highway, Officer Paul Antonucci reported. Cpl. Guy Bruchstein cited Ronald Banks, 27, for harassment on Saturday at 4:22 p.m. after he allegedly grabbed both arms of his ex-girlfriend during a physical confrontation, police said. Coatesville police responded to West Sixth Avenue at Madison Street for a criminal mischief complaint, Det. Shannon Miller reported. A woman said her front driver’s-side fender was damaged sometime between Thursday and Saturday at 3:45 p.m., police said. An investigation into a fatal traffic accident on Thursday in Sadsbury Township, west of Airport Road, is being conducted by state police from the Embreeville barracks. Police said a Harrisburg driver was stopped on the westbound Rt. 30 bypass for a traffic backup when Robert C. Leik, 68, of York, failed to observe the slowdown and rear-ended a 2006 Peterbilt with his 2012 Freightliner. Leik, who was not wearing a seatbelt, was pronounced dead at the scene, police said. A traffic stop by state police on Thursday at 12:51 a.m. led to driving under the influence charges for a Coatesville man. Police said Brian J. Walker, Jr., 61, was pulled over on Lincoln Highway at Loomis Avenue in Caln Township for a burned-out headlight and found to be under the influence, police said. A 21-year-old Downingtown man faces multiple charges after a crash on April 6 in Caln Township, state police said. Joshua A. Hart, who was traveling westbound from Rt. 30 to Rt. 322, failed to observe that the 2003 Dodge Neon in front of him had stopped at a stop sign, struck the vehicle with his 2011 Dodge Ram, and fled, police said. The victim called 9-1-1 and followed Hart while on the phone with police, who located Hart and determined that he was under the influence, police said. State police stopped an Altoona man for a traffic violation on April 6 at 1:15 .m. on Lincoln Highway near North Bailey Road in Caln Township, police said. Christopher B. Glunt, 20, was charged with possession of marijuana and drug paraphernalia, police said.